PHOENIX (Feb. 9, 2009) - Another major religious convention has decided to place its faith in Phoenix. 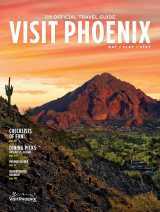 Mennonite Church USA has announced it will hold its 2013 annual convention at the Phoenix Convention Center. The annual gathering will bring an estimated 9,500 attendees to Greater Phoenix, and those attendees are expected to occupy nearly 14,000 room nights at local hotels. The convention is scheduled for the summer - June 28 through July 6 - which is considered the off-peak season for meetings in Phoenix. "We are honored to be hosting almost 10,000 Mennonites in 2013," said Jay Green, Director of the Phoenix Convention Center. "This group typically meets on the East Coast, and this will be their first convention in Phoenix. Certainly, our newly expanded facility helped secure this convention." The Mennonite Church USA is the latest in a line of faith-based groups to choose Phoenix as the destination for their annual convention. Already on Phoenix&apos;s convention calendar are the Southern Baptist Convention (2011), General Council of the Assemblies of God (2011) and Unitarian Universalist Association General Assembly (2012). Together, these religious meeting groups represent an estimated 56,000 delegates for the new Phoenix Convention Center. Donald Oswald, Associate Director of Convention Sales at the Greater Phoenix CVB, said he attributes Phoenix&apos;s appeal to faith-based groups "to three key things: the geological and cultural distinctiveness of the destination, the size and sophistication of our new convention center, and the sincerity and hard work of our Faith In Phoenix team." Faith In Phoenix is a coalition of officials from the Greater Phoenix CVB, Phoenix Convention Center, City of Phoenix and downtown hotels. Oswald helped create Faith In Phoenix in 2007 with the goal of making America&apos;s fifth-largest city the premier destination for religious conventions. The coalition&apos;s efforts are complemented by a Web site, www.faithinphoenix.com, which details Phoenix&apos;s family-friendly attractions and local places of worship, and allows faith-based planners to submit online RFPs. In October, the Faith In Phoenix team organized a first-of-its-kind Religious Advisory Summit. Two-dozen meeting professionals - including Rachel Miller, Associate Director of Convention Planning for Mennonite Church USA - participated in the summit, sharing their knowledge of the religious meetings market with the Faith In Phoenix team and several Phoenix businesses that serve the meeting-and-convention industry. "I&apos;ve been working with Rachel Miller and others at Mennonite Church USA for five years, and they&apos;ve taught me a lot about the needs of faith-based delegates," Oswald said. "The Faith In Phoenix team is indebted to her, and to people like Jay Green at the convention center and (Deputy City Manager) Ed Zuercher at the mayor&apos;s office. All of us are excited about bringing this group to Phoenix."